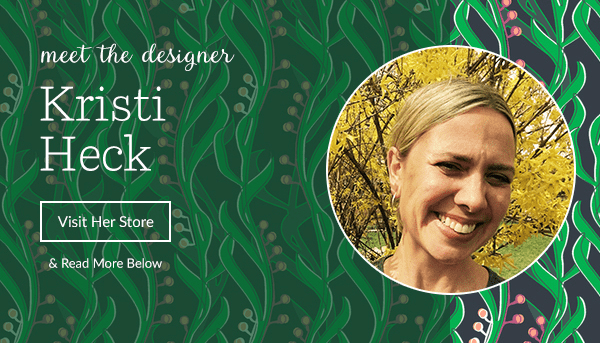 Today we'd like you to meet designer Kristi Heck as part of our new Meet the Designer series. Hailing from Panama then California, and most recently the great, green rainforest of the Pacific Northwest, Kristi is inspired by her natural environment and uses acrylic paints to create scenes involving friendly creatures, soil, vegetables, and lots of vivid color. She's down to earth in more ways than one–keep reading and get to know what gets Kristi's creative juices flowing. Where do you currently live? I live in Hood River, Oregon. 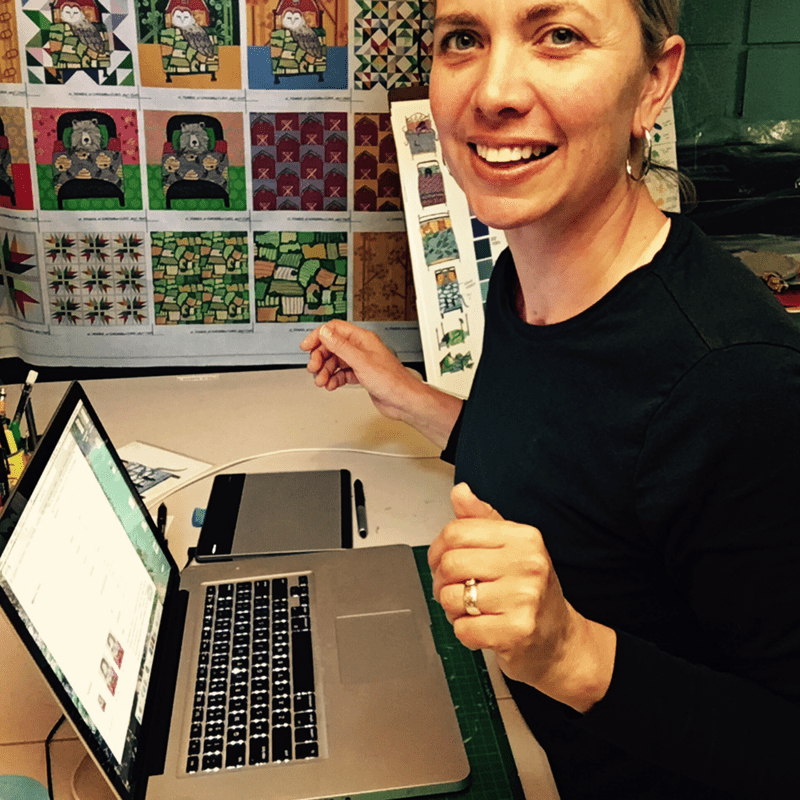 I fell in love with fabric design when… I turned around. This love (sort of, not really) snuck up on me. Our house is chockfull of textiles: Pendleton wool, reverse appliqué molas by the Guna Yala of Panama, Indian kantha quilts, chunky knits, plush flokati, African Dutch wax block prints, and a crazy variety of patterned throw pillows. I’ve always loved designing with fabrics; I’m brand new to designing actual fabrics. Our family moved to Hood River mid-December 2013, our first winter in about ten years. Time lived in Southern California combined with six years in the Republic of Panama had left us cold. Literally. So I over-dressed and began painting creatures hibernating. Soon, the animals migrated into human beds. Painting their bedding was my favorite part. I thought I’d try designing fabric versus just painting it, but the ability to create a repeat pattern eluded me… I have dozens of horrible designs stashed in file folders titled “Trials” and “Tribulations.” Then I found the class “How to design fabric” at creativebug.com featuring Spoonflower. Click! Apparently, my visual brain required a visual demo, as I later uncovered near-verbatim written instruction in multiple fabric design books I already own!